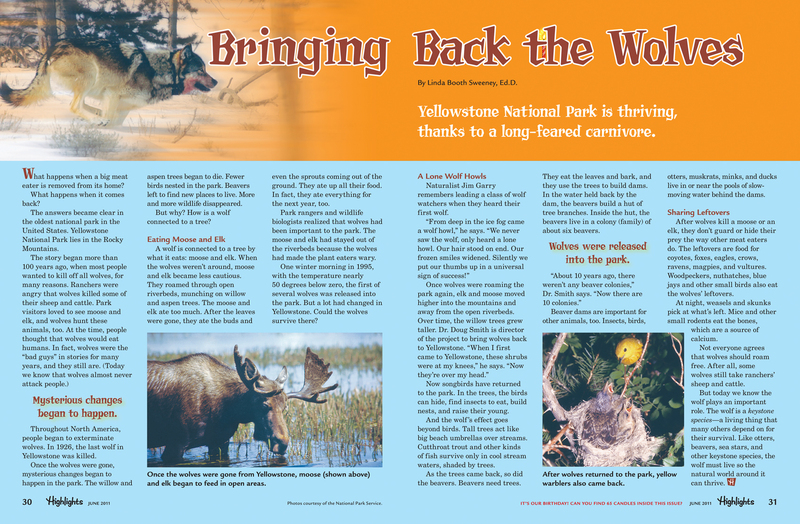 Cleaning out my emails at year end, I realized that over the last six months no less than ten excited emails had come in, urging me to see “How Wolves Change Rivers.” This four-minute piece video tells the story of the reintroduction of the wolves to Yellowstone National Park, after it had been wolf-free for nearly 70 years. It’s beautifully done and an inspirational story. You can’t help but walk away with a felt sense of just how tightly coupled and interconnected our world really is. With 1.6 million likes on Facebook, the video is an internet hit. 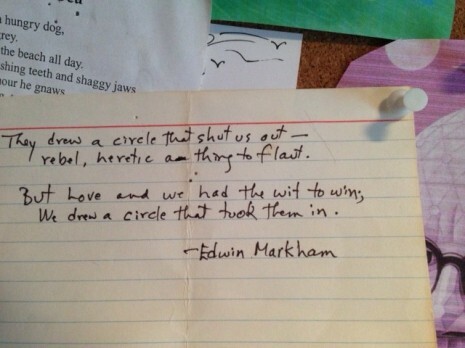 And it raises a question for me: when our job is to work with “systems”, where do we draw the line? What’s in? And what’s not? My caution here comes from an experience I had writing an article for Highlights Magazine for Children, a magazine with a distribution to over a million subscribers, including a enormous number of dentist offices. For the article — Bringing Back the Wolves: Yellowstone National Park is Thriving, Thanks to a Long-feared Carnivore (June 2011, Vol 66, p 30), I interviewed wildlife biologists, scientists and researchers. What I didn’t do was interview those who were also impacted by the wolves return. I quickly found out who I’d left out of the “system” when I began to receive some heart-pounding hate mail from ranchers, farmers and other folks living in neighboring communities. As I learned, sheep were killed by the wolves on ranches, small dogs had gone missing and worse, some families felt their children were in danger as wolves were spotted roaming in their yards. The Highlights publishing team stood firmly behind me because I had the facts correct. But I had to pause, and wonder, could I have drawn the circle wider in my story, and acknowledged the wider impact of the wolf’s return? That’s a question I carry with me in my work today. 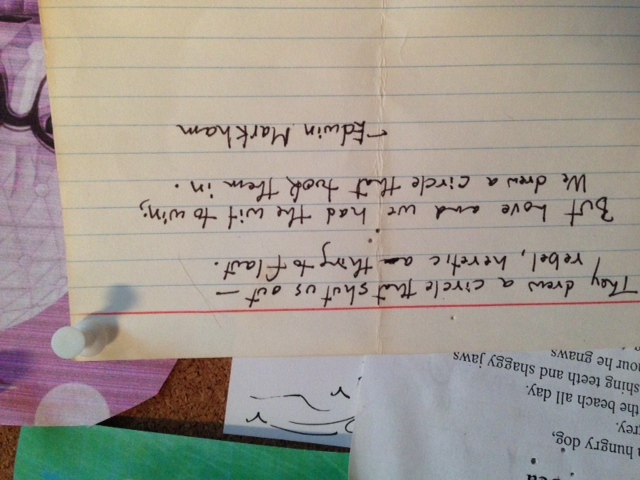 And thanks to the poet Edwin Markham, I have a helpful reminder on my bulletin board.